Is your driveway beginning to crack and deteriorate? Or do you simply need a new, “permanent red carpet” to welcome as you drive up to your home, sweet home? Whatever your reason may be, Hemma Concrete has the resources and experience to complete any concrete driveway installation project to your specifications. Our concrete driveway installation crew has earned an impressive reputation and a track record of proven results and customer satisfaction. Choose Hemma Concrete for your concrete driveway installation needs. 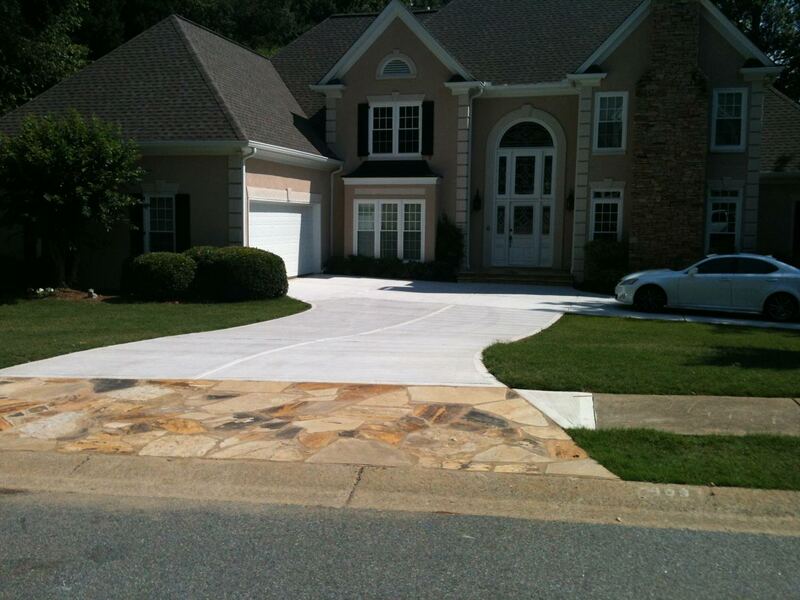 Our experience with concrete and stamped concrete driveway installation is second to none. 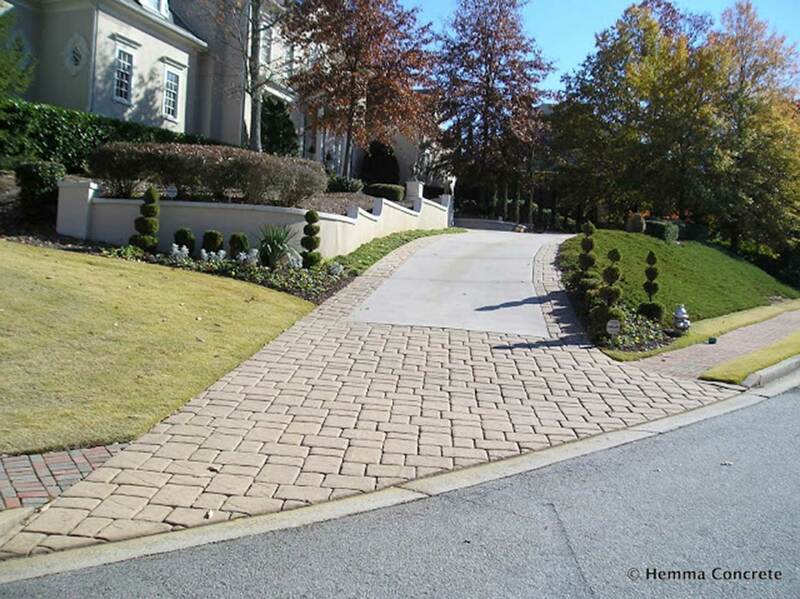 Hemma Concrete has built many of the most beautiful concrete driveways in the Atlanta area. Hemma offers a variety of concrete and stamped concrete driveways depending on the homeowner’s budget, design goals, and desired aesthetic. From budget-friendly basic concrete driveways to elaborate paver or stone driveways and everything in between, Hemma offers a complete range driveway installation services and driveway replacement services that you won’t find anywhere else. 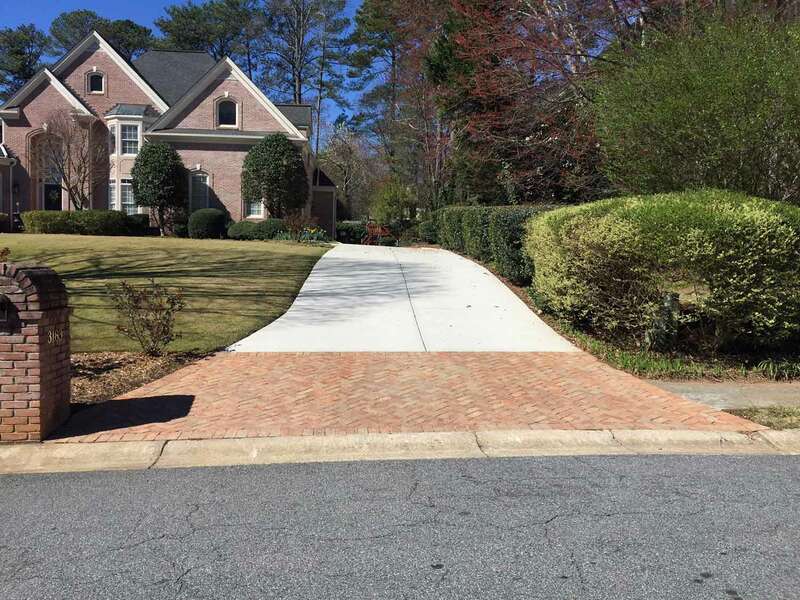 All Hemma concrete driveways include our industry leading 5-year free replacement warranty, a crushed granite sub-base, 4,000 psi concrete with fiber added for additional strength, and steel rebar throughout the driveway. 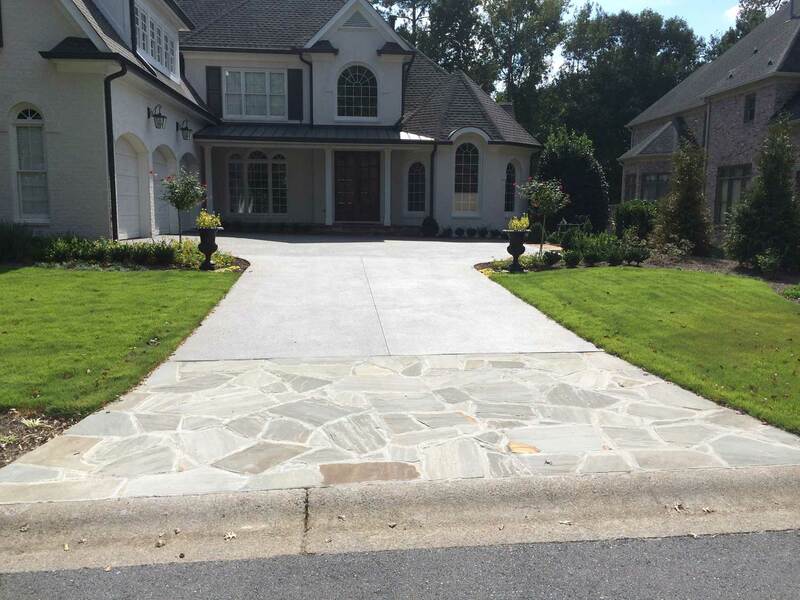 Hemma concrete driveways are known for their beautiful state-of-the-art finish and hand-tooled control joints. Like all our products, Hemma concrete driveways are engineered and built to last for many years to come. 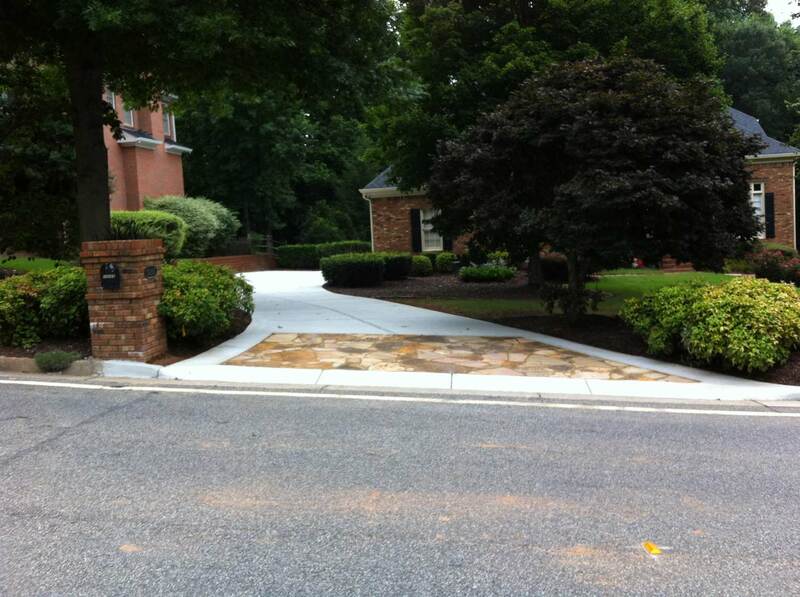 Hemma Concrete can make any driveway come to life with the addition of a decorative driveway apron. Driveway aprons are defined as that portion of the driveway starting at the curb and progressing up the driveway for a specified distance. The normal distance for a concrete driveway apron is between 8 and 15 feet, but we have built driveway aprons extending 60 to 70 feet up the driveway. The depth of your concrete apron is entirely a matter of personal preference – we can build your driveway apron specified to your preferences! A driveway apron can be built with a number of products, including stamped concrete (where the concrete is stamped while it is still wet), brick, and slate. While some homeowners prefer plain-stamped concrete with no color, many homeowners prefer the use of two colors where the driveway apron is “sealed” with a high-quality UV-resistant sealer. The sealer both protects the color and gives the apron a “wet” look. A special slip resistant product is added to the sealer to keep the apron from being slick when wet. 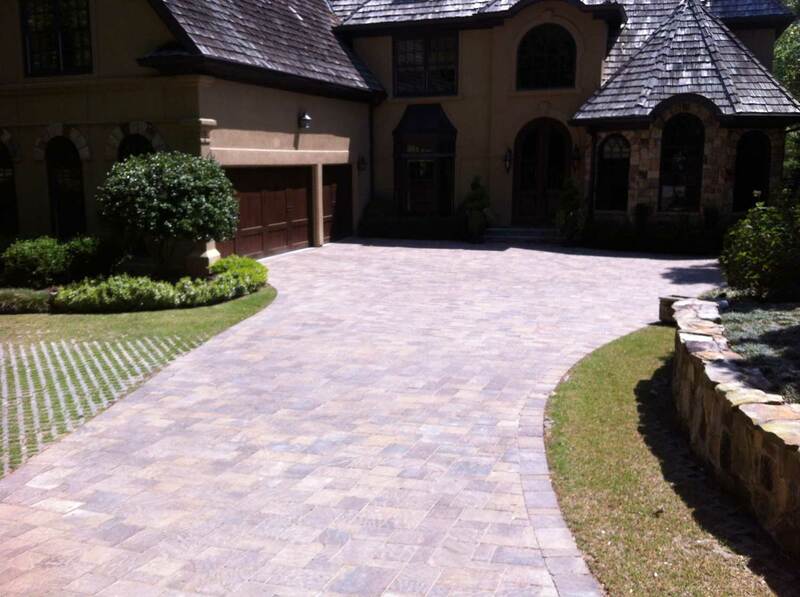 Aside from stamped concrete, another very popular driveway apron product is concrete pavers. There is any number of concrete paver designs with 4 to 5 color patterns for each paver. Driveway aprons built with concrete pavers have one very important advantage in that they are warranted by the manufacturer against chipping, cracking and breaking for as long as you own your home. Another advantage of a concrete paver driveway apron is its strength. 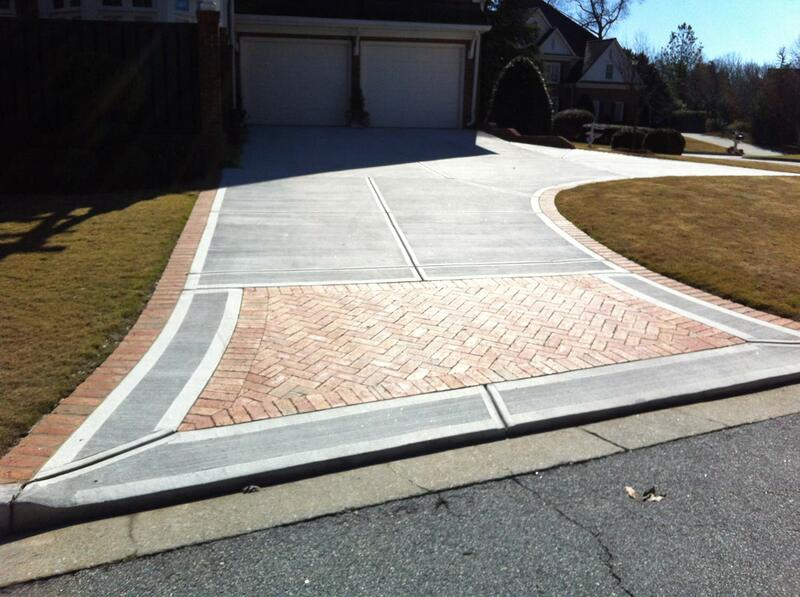 Hemma driveways are built with 4,000 psi concrete, but the pavers have a minimum strength of 8,000 psi. This provides extra driveway apron strength to support any heavy trucks or other vehicles that may pull onto your driveway. Regardless of the style of driveway apron you choose, concrete aprons and driveway aprons are a great way to create great curb appeal for your home. The concrete contractors at Hemma can change your driveway from a plain concrete driveway to something beautiful which will significantly enhance the beauty and value of your home.